Very exciting to see land base casinos in play sooner than we expected. Do you think this is the announcement that is going to be announced today? I was thinking land based would be several years away, so this new addition to the board of advisors is exciting news. Casinocoin is an interesting project. love it! Hope to be over 10 million csc in a couple months! But they do business is Las Vegas aswell so could be. The important thing here is that Cammegh is always forward-thinking which is why to me its overwhelming they are associating themselves with Casino Coin. Their Triple Zero Roulette is a hit because its new and innovative. And yes, they have a massive footprint in Las Vegas. I was actually at the G2E las vegas show last year and saw their display. 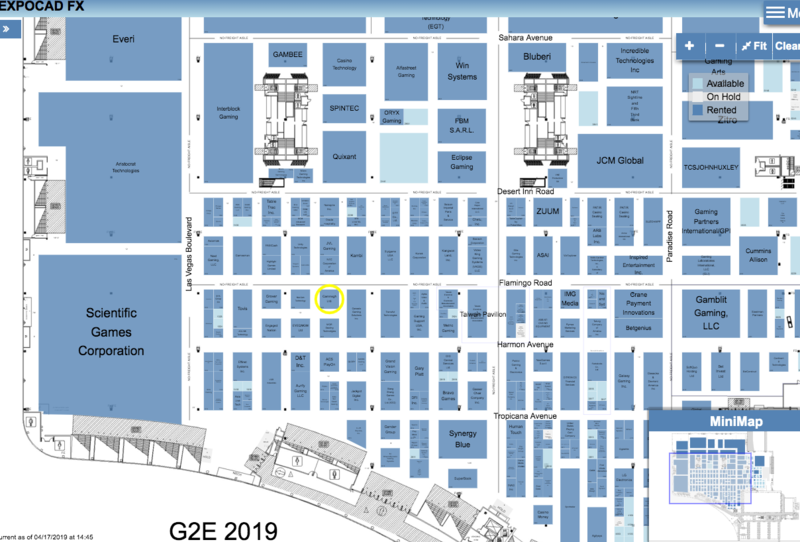 Cammegh is going to be at the 2019 expo and is already on the floorplan in yellow. I applaud the Casino Coin team for all their hard work.